Search Engine Optimization (SEO), stands for all methods and approaches which are used to improve the ranking of websites in search engines like Google, Yahoo or Bing. A typical example: a company producing promotional goods wishes its website to be found on the first result page of Google for search terms like "promotional goods" or "customer presents". Employing techniques from OnSite- and OffSite optimization we make this wish of the customer a reality. During on-site optimization, we analyze your web presence according to criteria important for search engines, such as using relevant keywords in title, header, and meta tags, the presence of sufficient internal linking, descriptive and easy to analyze for search engine bots page names, and a lot more. However, with this the work is just beginning. At the latest, since Google's page rank algorithm, the off site optimization, namely, the number and quality of external links to your website plays a far more significant role. Of course, for a good position in Google as well as other search engines, numerous criteria must be taken care of and a consistent link building strategy is required. Search engine optimization, in recent years, has gained immeasurably in terms of importance for a company's marketing strategy. In particular, searching for products or services nowadays takes place to over 80% through search engines. At the same time, 87% of Internet users only look at the first result page of Google. So, if your web presence is not to be found on page 1 for the relevant search terms, it is essentially invisible for potential customers, no matter how good the content and the design of website may be. 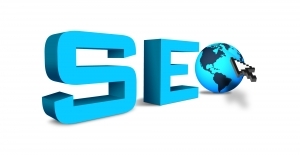 The results off professional and extensive SEO campaign, however, can hardly be overestimated. In most cases we can improve the traffic to your website, and consequently the number of customers finding you through the Internet, by 30 to 50%, and in many cases even more than double it. Additionally, SEO is a long time investition - even if you no longer have an active SEO campaign, the completed campaign will still be getting your traffic - visitors and customers - even years from now.